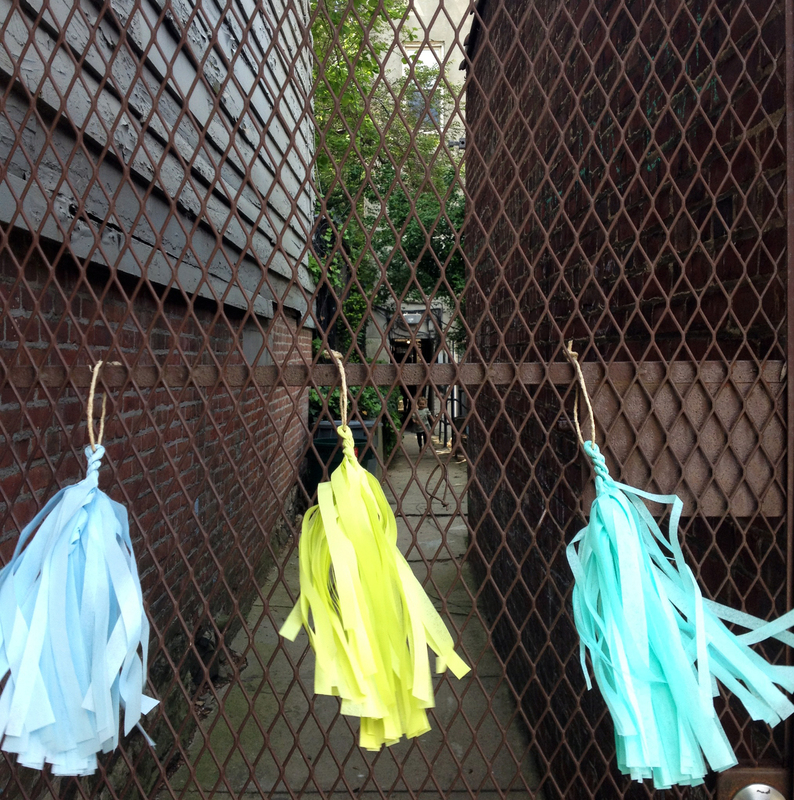 We made these tissue paper tassels to decorate an engagement party for our friends Kristin and Linsey. The lovely weather and people made the day so much fun. 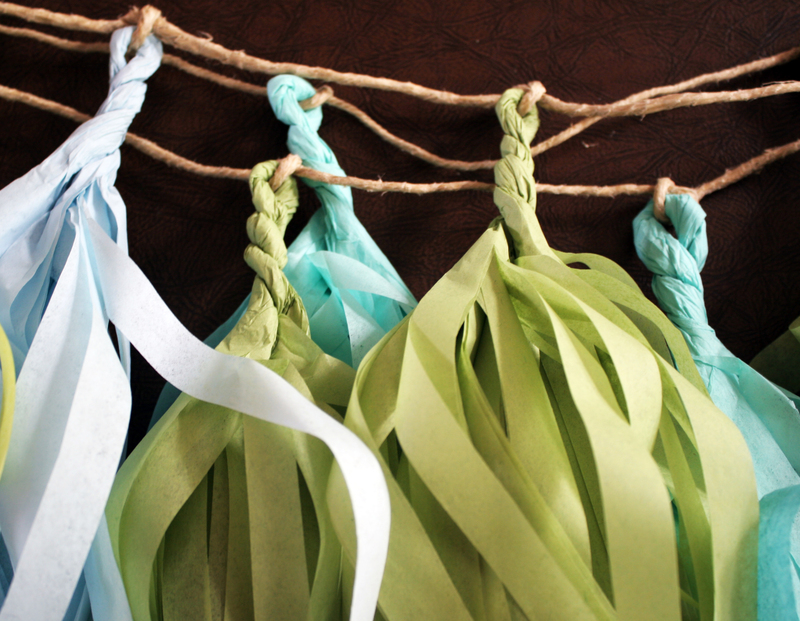 I spotted tassels in an adorable booth at Playtime in March and it reminded me I’d been wanting to make some myself. 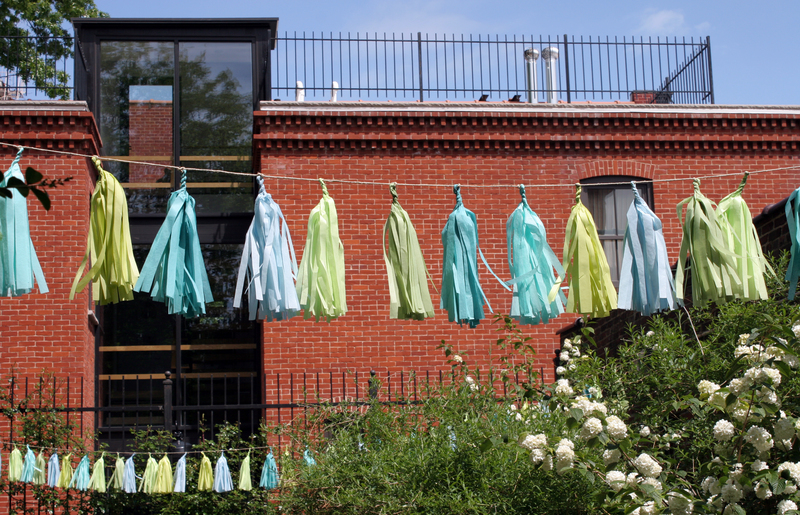 The Playtime tassels were from Confetti System – an amazing and inspiring site if you don’t already know. To make our own version we followed these directions posted by Chelsea on The Sweetest Occasion. Thank you ladies! 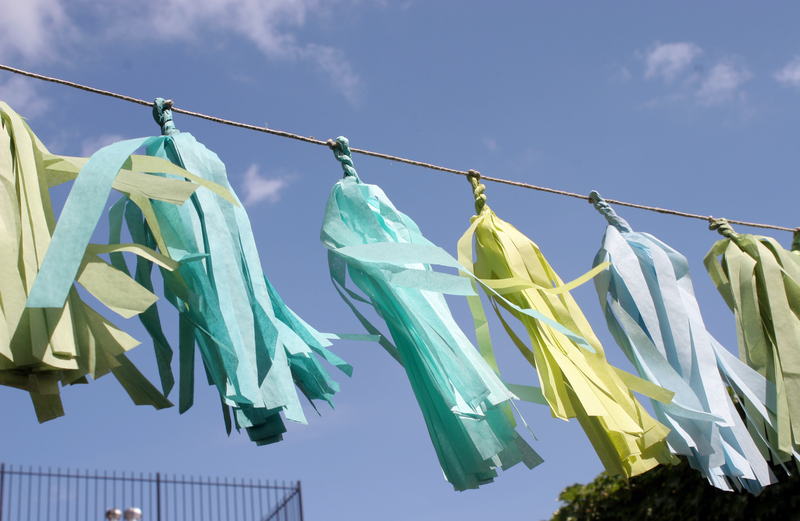 The only changes we made to the concise directions were to use two sheets of tissue instead of one and to tie the twine around our tassel ends. The process of cutting and twisting is so simple and completely satisfying. 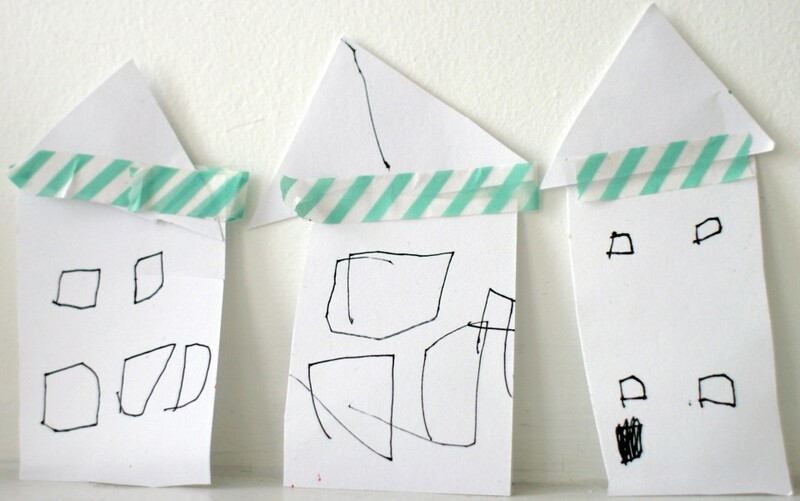 I love a project that transforms the simple into the magical!